There are so many holiday food types to avoid! There are those covered in gravies, sauces, oils, frostings, crusts, fried, dipped, or are easily popped into your mouth! While they look mouth watering, in general, they are loaded with calories and considered diet bombs! Continually eating diet bombs for the next few weeks can pose serious hazards to your weight, and is not a healthy diet habit! No one wants to step on the scale the first week of January and succumb to tears! Appetizers: This category of foods should be avoided like the plague! They are small, yet loaded with calories. Filling your plate will usually cost you more calories than a meal. They are finger foods; you can grab and chat easily with no idea of what you have done! If you do wish to indulge, then stick with cut up veggies and fruits. Most appetizers have similar calories to a cookie. You would never fill your plate full of 10 to 15 cookies, so do not grab that amount of appetizers! Dips: Dips are usually loaded with calories and are holiday food to avoid or limit. During the holidays, everyone is grabbing spinach dips, artichoke dips, seafood dips, and any other new dip out there, to impress friends! To eat dips, you must know the calories. Most dip calorie servings are also comparable to a cookie. The serving size of dips is the kicker, usually 1 to 2 Tablespoons of dip! This is not a whole lot of dip, but probably the amount that would fit nicely on a cracker! Most of you eat several servings of dip! Quick calories! If you must do dip, bring one from home that is fresh, lightened, and know the serving size you will indulge in beforehand. Chips, Crackers and Dippers: These are the items you use to grab up those deadly dips, and they are just as deadly! They are easy to grab and snack, grab and dip, grab and chat, and call your name. We all have favorites. You know they are diet no-no’s! You do not buy them at home, but when they magically appear at your holiday parties, you happily give in! You never know when you might see your favorite chips ever again! A small handful of chips are usually a serving, this is around 10 chips, 10 measly chips! Many people can’t eat just one serving and practice mindless eating! Avoid all chips and crackers. They are empty calories and will cause quick overindulgence! All Foods Slathered in Creamy Sauces and Gravies: For some reason many people believe holidays are a time to slather all foods with sauces! Holiday food to avoid, either at parties or in planning home cooked meals. They cause meals to be heavy, caloric, and can cause indigestion! Learn to love simple foods and add flavor to your meals with different spices and herbs! Herbs will make your meals taste like a chef slaved in your kitchen! Fried Foods: No explanation needed, fried foods are holiday food to avoid! Sweets: Sweets are everywhere, not just at parties or events that you attend. Candies, pies, cookies, and baked delights appear magically and seem to follow you! They can quickly overpower your will power! What is a sweet lover to do? Bake lightened sweets at home, know calories to all baked goods you eat, meal plan a 200 calorie daily sweet treat, eat very small serving sizes, or simply avoid all sweets! 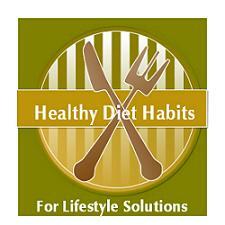 You have to have a strategy or plan that will work for you and follow healthy diet tips! Only you know! Do not depend on willpower alone. Strategize success! January weight success means you need a plan now! Awareness is only half of the battle! Following healthy holiday tips is a great lifestyle solution to adopt! The saying "Those who fail to plan, plan to fail," holds true! If you would simply choose to use care, while eating these top diet offenders, you might be happily surprised when you step on the scale in early January! Your holiday food can be healthy and fun, without containing diet bomb status!